or DOUBLE your money back! in fitness, diet, motivation etc ." I promise never to be a scary trainer. I might give you the odd reality check, but I promise you will always be safe with me. I will always have a sense of humour - no rollockings for having a glass of wine. I won't expect you to do anything I wouldn't do - that means I won't try to make you stave yourself!! I will look after you as a whole person - mindset, lifestyle, nutrition and exercise, and everything in between. I will allow your fitness level to gradually progress - no terrifying workouts. I will always work to reduce your risk of injury and keep my eye on your technique. I won't ever make you feel silly either while exercising or for not knowing something. You know what you want to achieve – a leaner, more toned body – but you’re not sure how to get there because the methods you’ve used before haven’t had the effects you hoped. 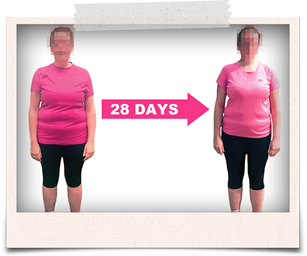 We know that you don’t want to find yourself stood clueless in the middle of a gym, or to waste time doing endless, boring and ineffective workouts or starve yourself in the vain hope of losing a couple of pounds! 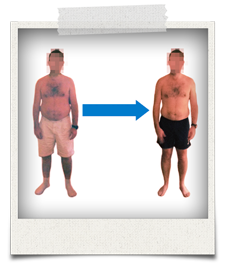 Personal Trainers in Haslemere, Fitbiz Training, make getting lean and healthy fun, and very, very effective! 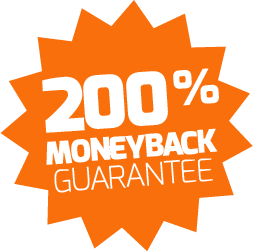 We are so confident in our ability to deliver results and help you achieve the goals we set together, that we offer you a money-back guarantee on our 28 Day Challenge program. So ask yourself; what have I got to lose?! You’ll get the results you’ve craved for years and soon notice your fitness level improve dramatically – all in a considerably shorter timeframe than other personal trainers would lead you to believe is possible. We work with you to design your perfect, tailor made exercise program using both your body and mind for optimum motivation. You’ll end up with a complete program, not just for our 1-2-1 sessions, but also homework workouts to use on your own between. We’ll build in anything extra you’re already doing and want to stick with, so you know your exercise program is truly personalised to you. We’ll discuss optimum nutrition with you, working with you to take things as quickly or as slowly as you need. Your nutrition will be personalised to your bio-type, leaving you safe in the knowledge that you’re getting the right information for you. "Treat a friend or your other half. 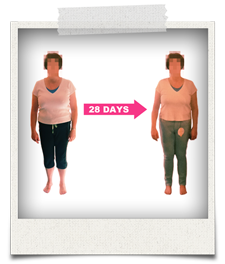 A truly original and thoughtful gift"
I have done the 28 Day detox and found out how packaged foods had controlled me.